The Alpine KCX-C250MC Multi-Camera Selector Interface allows as many as three Alpine camera systems (Front, Rear, & Side) to be connected to and controlled from select Alpine in-dash navigation receivers. The KCX-C250MC Multi-Camera Selector Interface is compatible with select Alpine navigation receivers and cameras. The KCX-C250MC is only compatible with select Alpine cameras which feature a proprietary multi-pin camera connector (not composite video). 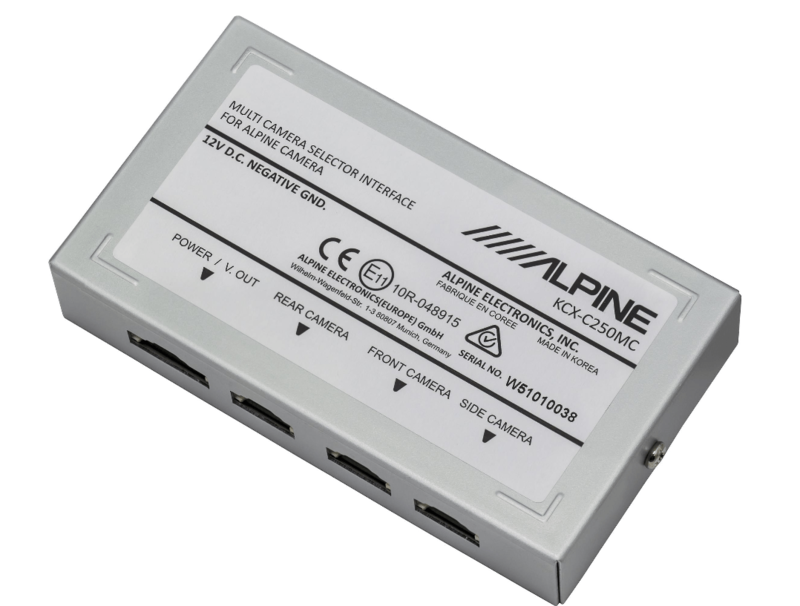 You can connect up to 3 proprietary Alpine cameras (Rear, Front, & Side). The KCX-C250MC Multi-Camera Selector Interface is only compatible with select Alpine navigation receivers and proprietary Alpine camera systems. It also allows you to control your Alpine multiple camera system from your compatible Alpine navigation receiver’s touchscreen. The names of the connected camera systems (Front, Side, & Rear) appear on the touchscreen, so you can simply select the camera system you want to use. You can then choose the viewing option from that camera to be displayed on the receiver’s LCD touchscreen. When your vehicle’s reverse gear is selected, the image from the rearview camera is displayed first. You can then select to view front or side cameras. If you own a compatible Alpine multimedia receiver, you’ll need the Alpine KCX-C250MC selector to take full advantage of its video capability by connecting up to three cameras (not included). Once installed, the KCX-C250MC gives you the ability to switch between Alpine Direct rear-, front-, and side-view cameras using the touchscreen on your receiver, a great help for parking, towing, and more. 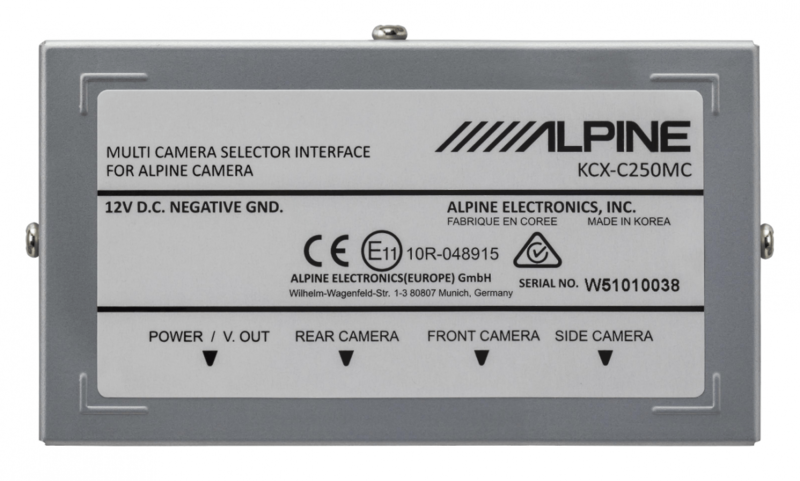 The Alpine KCX-C250MC Multi-Camera Selector Interface will require a separate +12V switched and ground hardwired connection inside the vehicle.